The UBMC Higher Primary School is located on the serene and well-kept premises of the Bokkapatna church in Mangaluru. Bokkapatna is located close to the sea and is home to many middle class and low income families. "Most of the families are predominantly engaged in fishing and selling of vegetables. 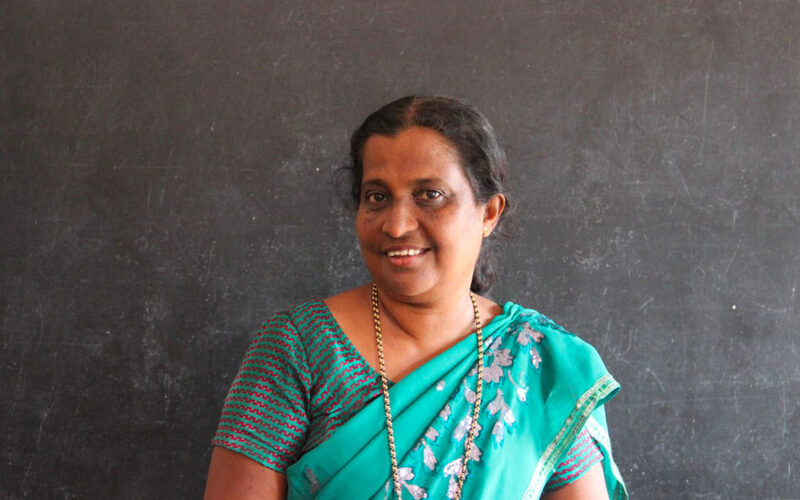 Their main source of income is from fishing, while other families tend to take up daily wage jobs," says Mrs. Monica, the Headmistress at the school. Monica has a long history with the school. She has 37 years of experience as a teacher and has been at this school for 32 years. With an average strength of 34 students in the school, the enrolment is balanced with a few sporadic dropouts. But this doesn’t deter Monica and her three assistants from focusing all their attention on educating the ones coming to school. "The fact is all of them like coming to school. The academic performance has also been up to the mark. We have good teachers to take care of them and that is important," says Monica. We then meet 9-year-old Moiz, a standard V student at the school. "When I grow up, I want to become policeman and catch robbers," he says. Moiz’s enthusiasm is fuelled by his admiration for Mahatma Gandhi. "I believe in Satyagraha and I want peace all over," he says. Despite his shy disposition, when asked about his aspiration to become a policeman, he still has a clear vision of what he wants to become. Moiz’s father Dawood Sharid works at a cycle shop close to their house in Bockkapatna while his mother Tajusia is a housewife. He also has an elder brother who studies in class VIII in a different school. It is also revealed to us that Moiz’s father is physically challenged. On weekends, Moiz accompanies his father to the shop and helps him fix the cycles. On regular school days, Moiz comes home after school and goes straight to the local Madrasa to study some more. He gets back home in the evening and plays with his friends. As an Akshaya Patra beneficiary, Moiz regularly eats the mid-day meals and tells us that he likes the sambar. "I like the sambar because of the potato. I feel healthy when I eat vegetables," he says. Even Monica says the Mid-Day Meal Programme run by Akshsya Patra is praiseworthy and she tells us why. "Before, we didn’t receive any mid-day meals, which resulted in many of the student returning home to eat lunch. Some of them didn’t return to class. Now that Akshaya Patra is providing meals they stay in school and attend classes. The like the nutrition which in turn makes studies more motivating for them. They are happy and they like the meals." She concludes by telling us that this is a great initiative and it should continue catering to more children in schools.